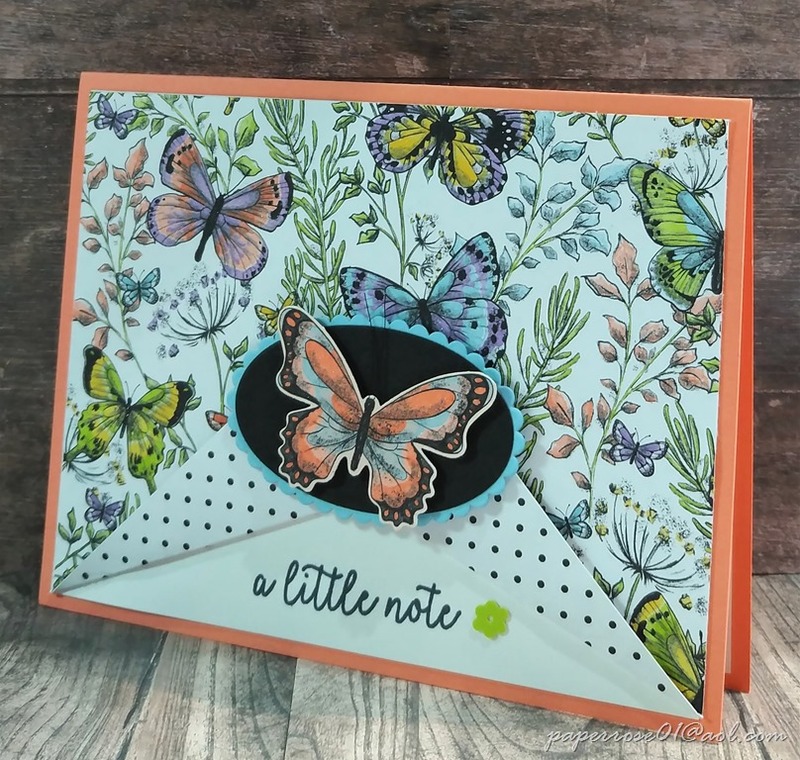 Patty Bennett is one of the top 10 Stampin’ Up demonstrators. She is located in the San Francisco area and I admire many of her creations. Generally when I CAS a card, I make many changes. 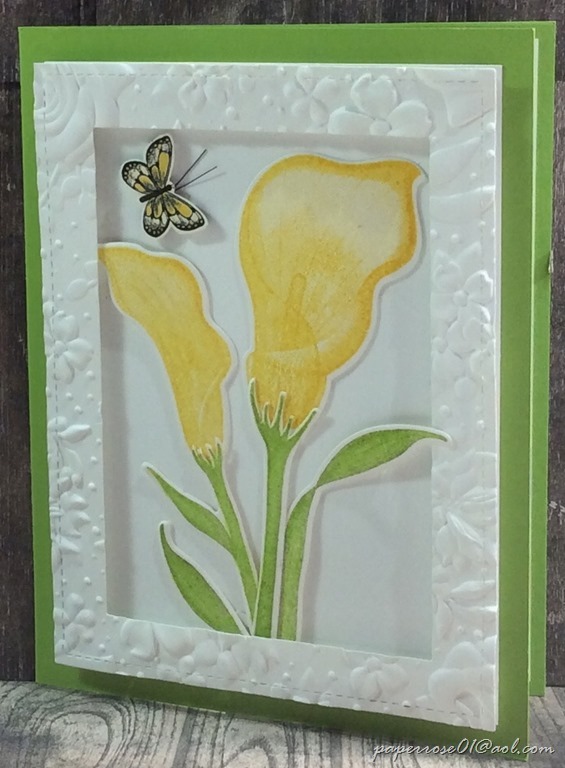 However, this is an exact copy of Patty’s card although our measurements may differ slightly. 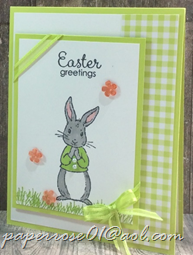 I must mention, that this is NOT a 5-minute card – patience is a must. This card is truly Forever Lovely. 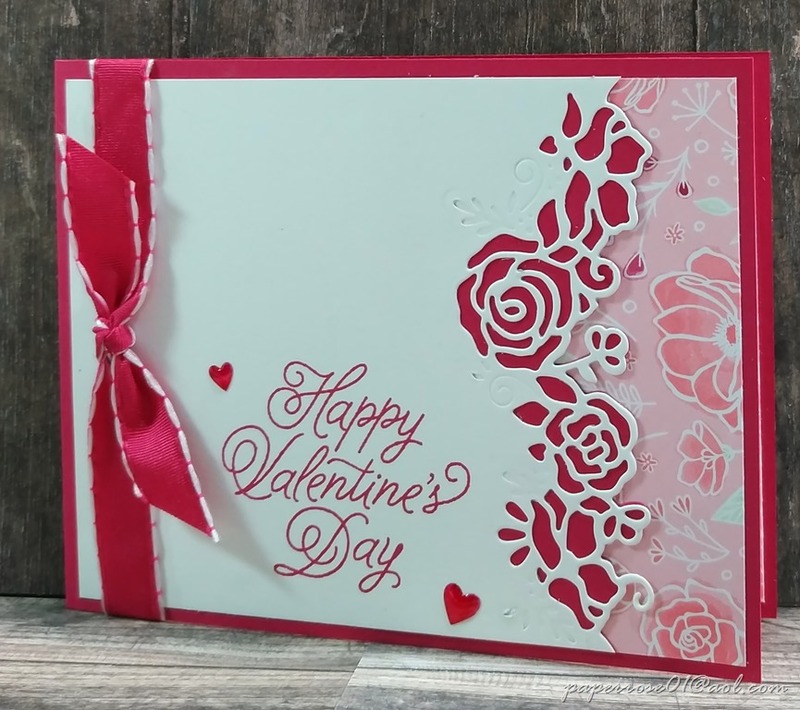 Done in Lovely Lipstick, Whisper White and Flirty Flamingo, it is the perfect card not only for Valentine’s Day but also for a birthday or a wonderful pick-me-up. 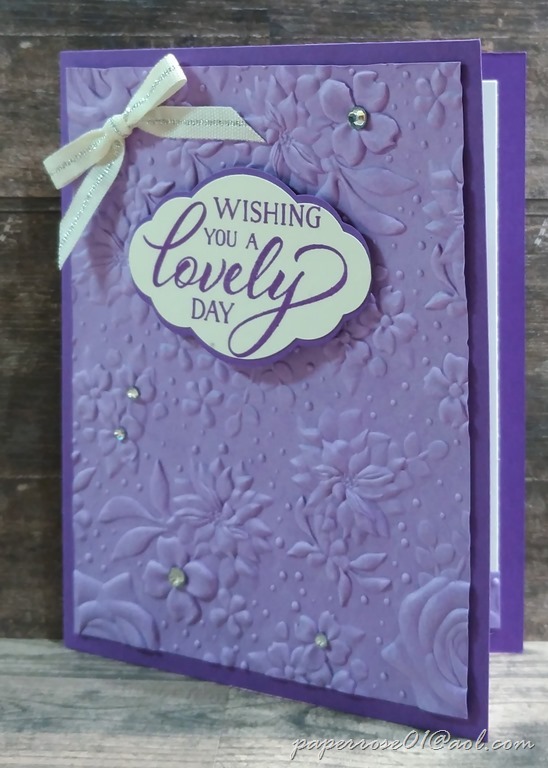 How would you feel if you received this card from a friend? 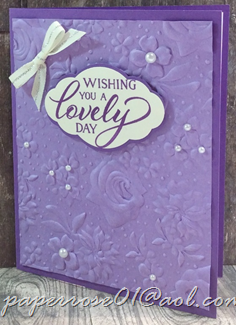 The card features the Forever Lovely Suite shown here in the new Occasions Catalog. 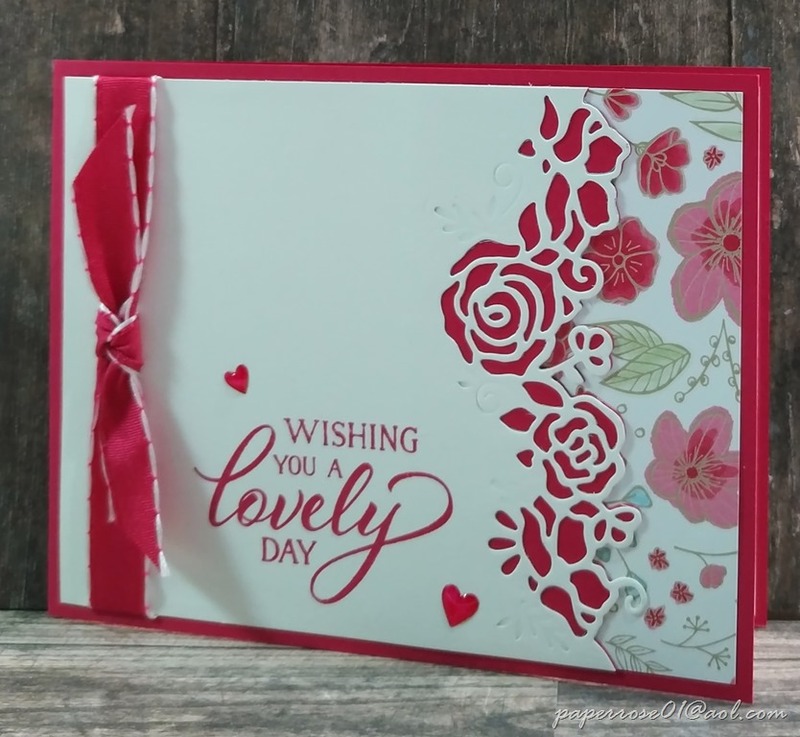 We start with a 4 X 2 piece of Lovely Lipstick and die cut the Edgelit of the roses and leaves. The challenging part it to make sure your edgelit is on straight. I use bits of Washi Tape to insure my die does not move. After the Lovely Lipstick is cut, I place it up against the Whisper White top layer and after insuring the white layer is straight, I use Washi Tape to hold the die of roses and leaves in place making sure it matches the cut Lovely Lipstick Edgelit. The Precision Base Plate is used to die cut this image. Although hard to see, the die also embosses some floral images. The Lovely Lipstick image is adhered to the Whisper White layer and “All My Love” DSP is tucked into the end. You have two choices of the DSP to choose from. White trimmed Lovely Lipstick 1/2” ribbon is knotted either around the white layer or around the entire card front. 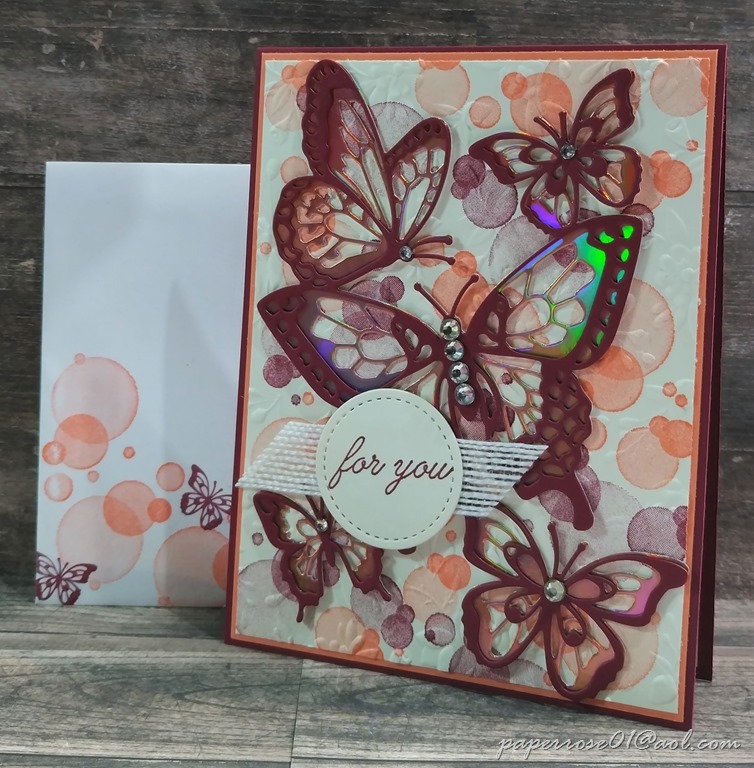 Two Heart Epoxy Droplets are colored with Lovely Lipstick Stampin’ Blends, allowed to dry, and then placed on the card front. As a reminder, February Stamp Camp is Thursday February 7th from 12 noon to 6 pm, Friday February 8th from 2 to 6 pm, and Saturday February 9th from 9 am to 4 pm. If these times don’t work for you, please let me know and we can rearrange the schedule. In case you missed my previous e-mail and blog posts, I have made the hard decision to increase the price of Stamp Camp to $14. I have kept the $12 price for years but with everything creeping up in price, I am forced to increase to $14. 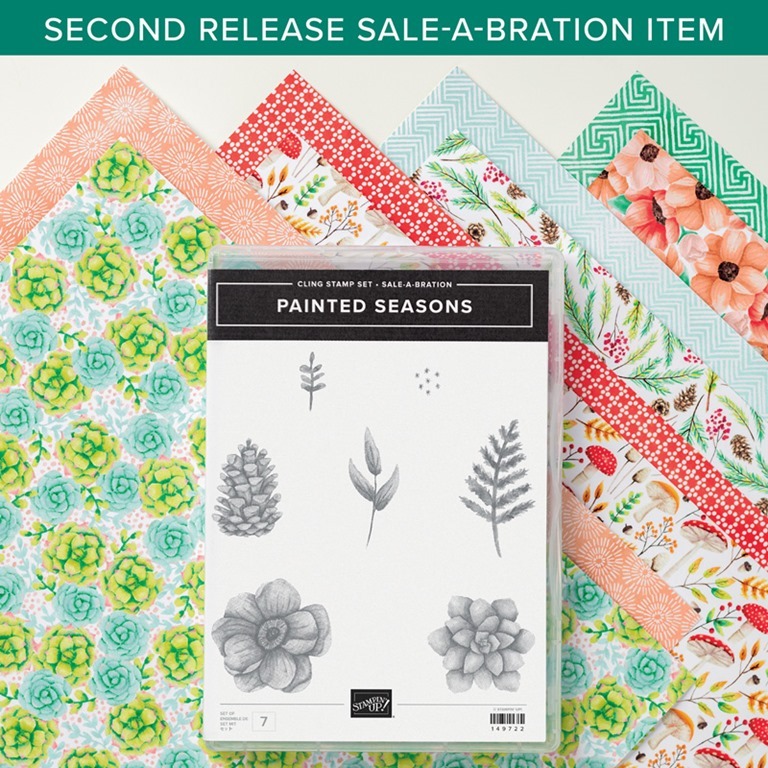 Remember it’s Sale-A-Bration time. 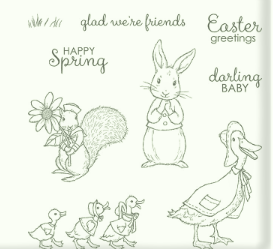 Through March 31, for every $50 in product you purchase from Stampin’ Up, you can choose something free from the Sale-A-Bration Brochure. 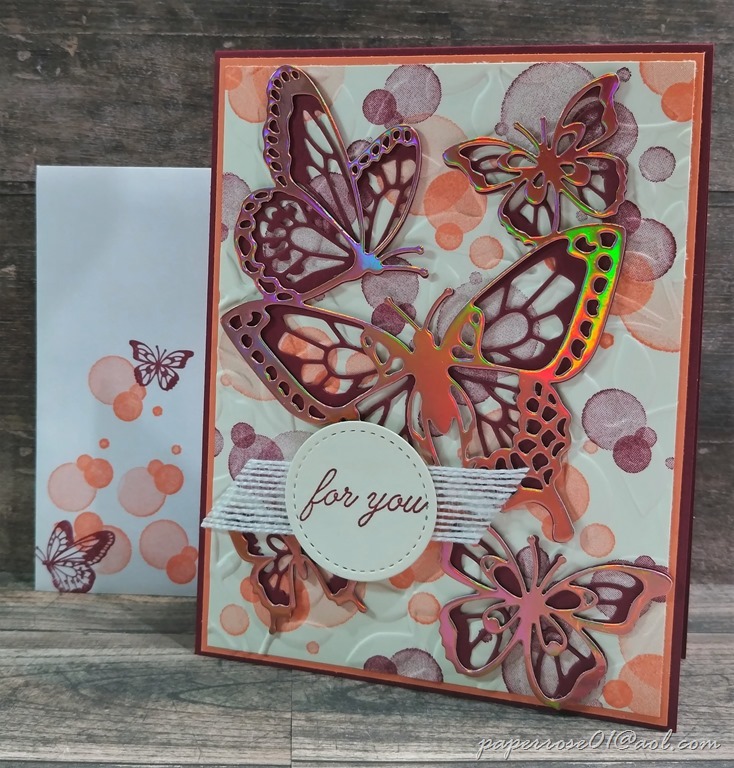 There is foil, ribbon, and stamps to choose from. There are 2 more detailed items available if you purchase $100 in product. 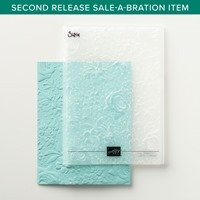 Check it out here at Sale-A-Bration. 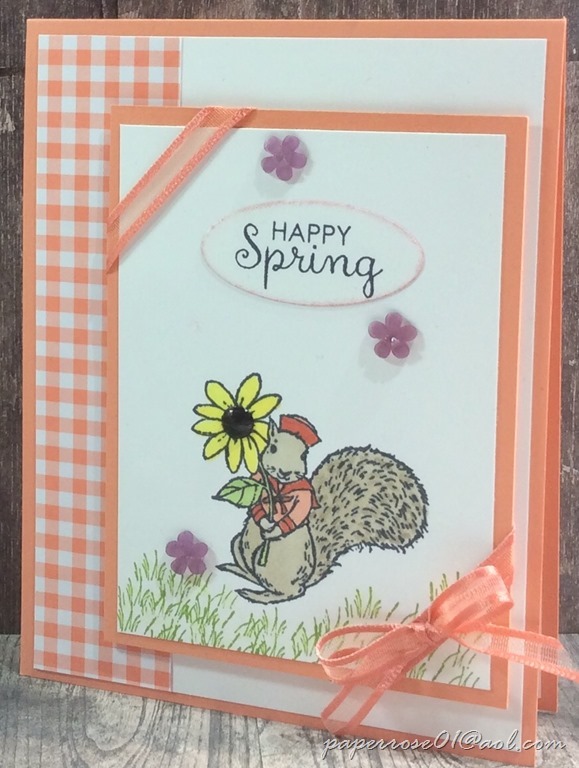 To help you choose something free from Sale-A-Bration, I am discounting all Stampin’ Up card stock, DSP, specialty papers, etc. by an extra 10% for the month of February. As this is a Paper Rose discount, orders will need to come through me. This is the time to stock up on those basics you use throughout the year! 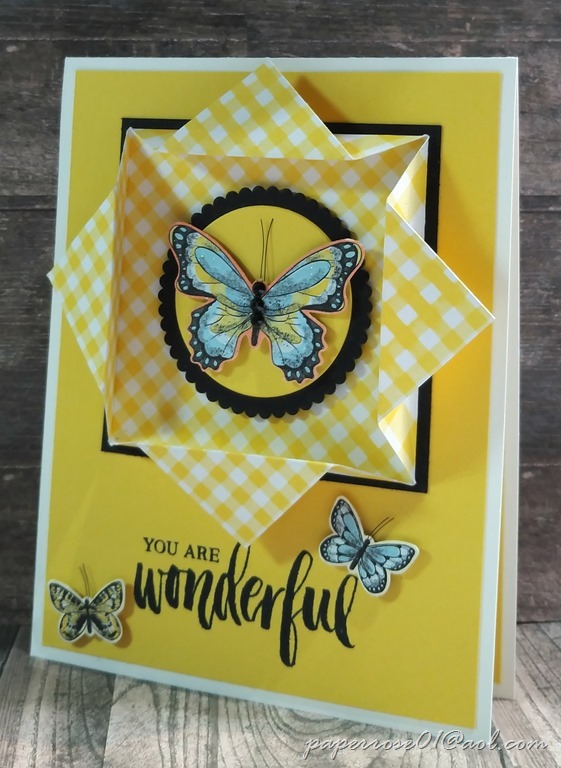 I am very excited about our March Stamp Camp – “Bunches of Butterflies!” We will see butterflies, butterflies, and more butterflies!. The dates for March Stamp Camp are March 7, 8 and 9. I am working on the 2019 calendar and will soon have it done.